December was a mixed bag for me. 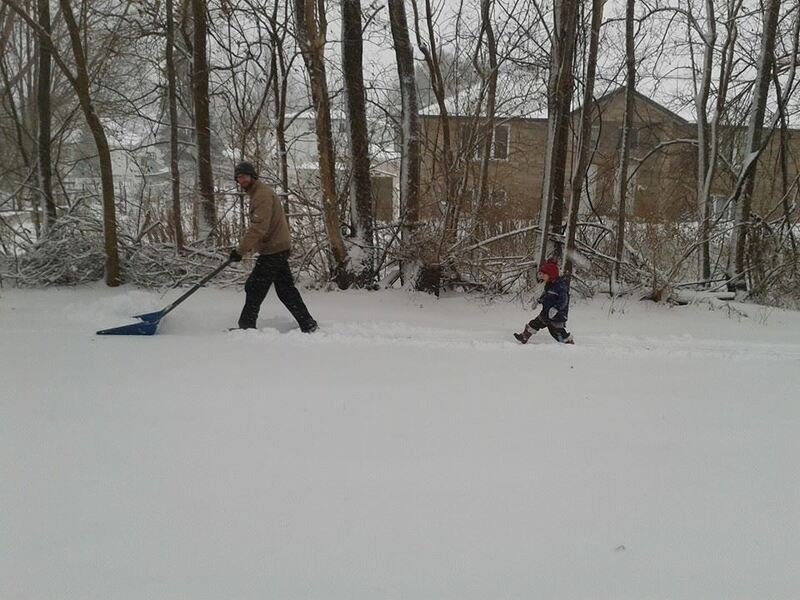 On the one hand, there were sunny snow days spent outside, and time with friends and family. Moments of heaven. On the other, I spent a lot of time feeling intensely depressed about our inability to grow our family. I had really been hoping to be pregnant by the end of the year. (Well, I had really been hoping to be pregnant by August; but I was hoping at the very least by the end of the year.) 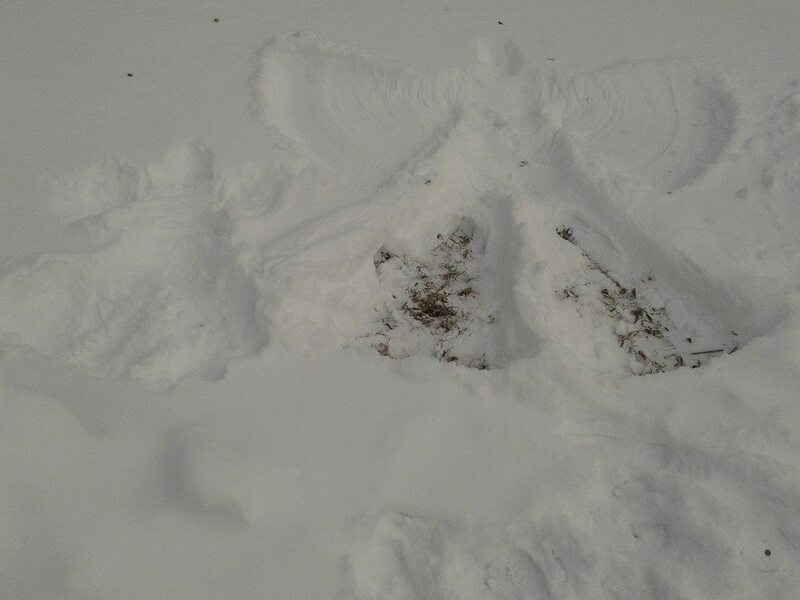 I got confirmation on Christmas morning that I wasn’t pregnant (and probably won’t be any time soon), and spent the day grieving the absence of the child who was never to be. Merry and bright and all that jazz. Infertility is such a lonely experience. I’m trying to focus on my blessings. I’ve got such a fabulous little family. I love them to death. We’ll make lots of memories together, just the three of us. And you know, Jesus and all that. Here are some of the little things I’ve been enjoying. Not much time for reading this month. I did pick up The Complete Tightwad Gazette (Amy Dacyczyn) from the library. At first it annoyed me that there’s no organizing principle and not even a table of contents — you have to read the whole thing, front to back, in the hopes of finding something useful. But then I figured it’s kind of like Pinterest, but with everything devoted to frugality — you can casually scroll through and see if anything strikes your fancy. I noticed that pretty much everything the author suggests, my Mom already does. Turns out “tightwad” and “Mennonite” are fairly synonymous. I didn’t realize what a great education in thriftyness I got growing up. 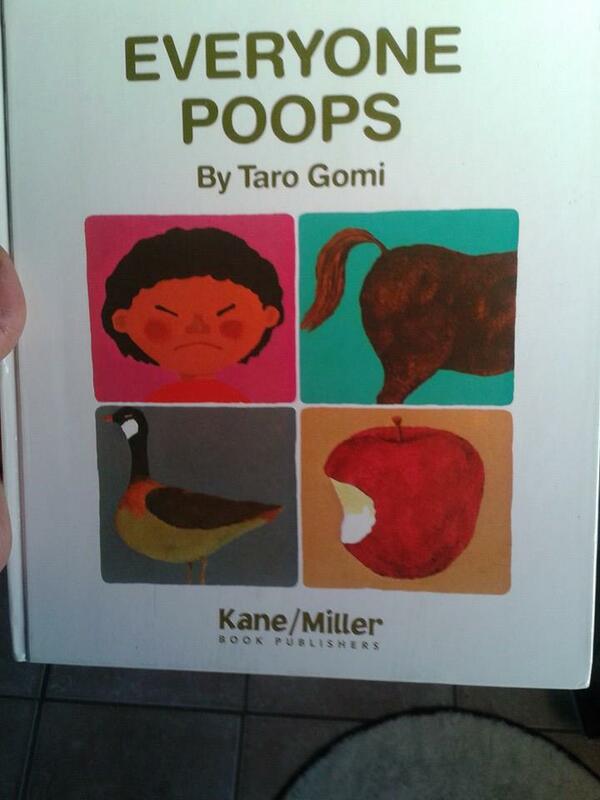 Everyone Poops (Taro Gomi) – I picked up this classic from a thrift store for a dollar. Totally worth it. Every family member finds it amusing. And it’s a biology lesson! My only complaint is that only male humans are featured, suggesting that everyone except girls poops. Chloe (Peter McCarty) – I love everything about this book from the library. The illustrations are quirky and absolutely gorgeous. I totally endorse the moral of the story (using your imagination is more fun than watching TV). I love the extensive list of the family’s favourite foods (six kinds of vegetables, plus noodles. 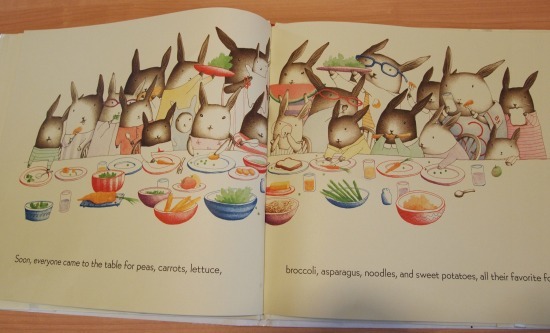 Why, in most kids’ books, do children always hate greens? Why do we need to keep telling kids that vegetables are gross?). And I love that all the siblings share a bed in the final scene — it’s so cozy and sweet. You have to have seen the Pentatonix Little Drummer Boy video on Facebook. I think at least two dozen of my friends shared it. And for good reason: it’s breathtaking. 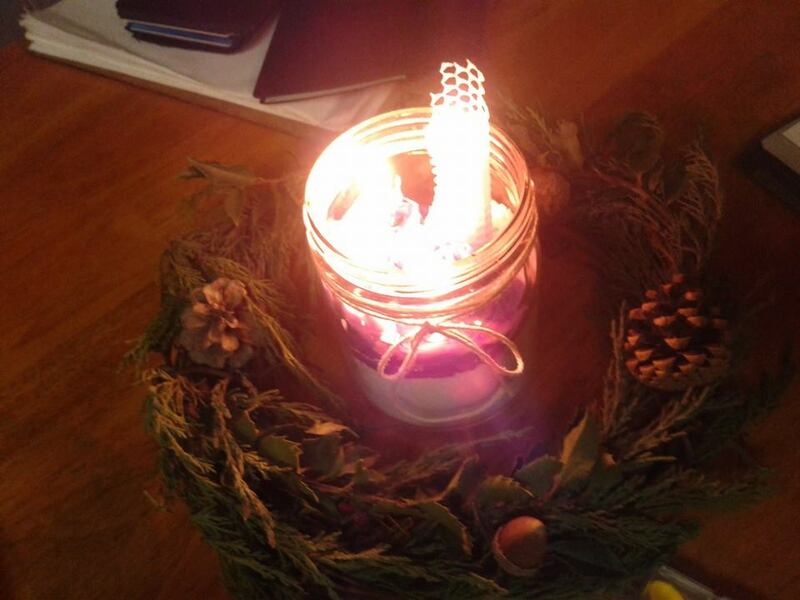 So we purchased the album (PTXmas) and pretty much listened to it every day of Advent. All the songs are great, although Little Drummer Boy and Carol of the Bells are by far my favourite. It’s earned a permanent spot on our Christmas rotation (which says a lot — I’m hard to impress when it comes to Christmas music). Sound of Music — this one was a winner. We all loved it. I can’t believe I always assumed it was boring! Okay, maybe some parts were boring. But it was mostly charming, and the final scenes with the Nazis were really intense! Lydia asks to watch “Doe a Deer” several times a day, and is memorizing all the songs. Catching Fire — This. Movie. WOW. Despite how hard it was to watch, I thought it was absolutely stunning. Jennifer Lawrence is amazing. Incredible story-telling. So much TRUTH. Warm Bodies — we rented this when Ben was sick and my mom took Lydia. Thumbs up. There are some swears and a few really gruesome scenes, but it’s delightfully unique and surprisingly funny. Just don’t think too hard because a lot of it doesn’t make much sense. How about you? What have you been into? Disclaimer: This post contains affiliate links. Meaning if you click through and buy something, I get a tiny commission. Thanks for supporting Becoming Peculiar! Music: I got reacquainted with some of Johnny Cash’s old Christmas music, and Walk Off The Earth is always playing on repeat around here, especially with their very cool Little Drummer Boy with live dogs music video. Books: we’re reading Arabian Nights (again) and a whole pile of Christmas books. I re-read C.S. Lewis’ Mere Christianity, and am almost finished “What About Hitler” by Robert Brimlow. I have also been upgrading my German and listened to a number of German audiobook stories which are available (in any language) on Librevox – a site that I wish I’d discovered years ago. Movies: We watched an annual favourite: “Last Holiday” with Queen Latifah. 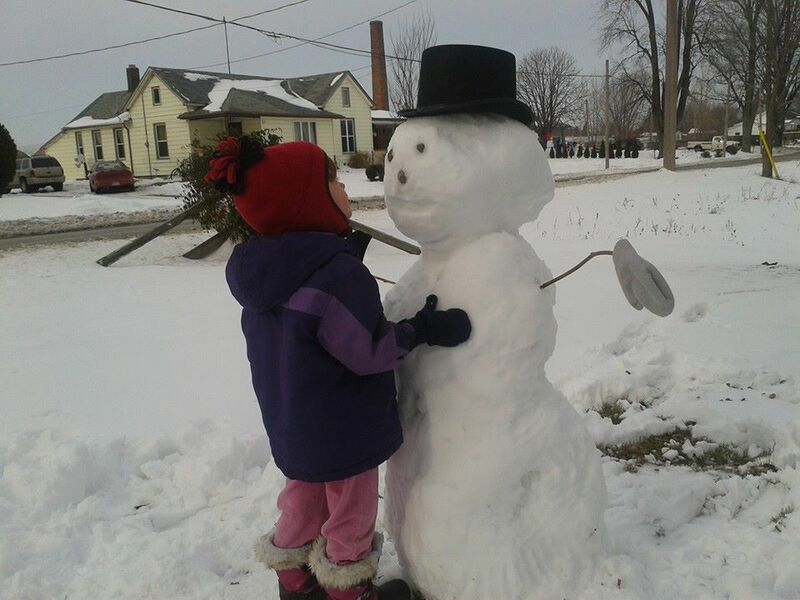 Sofunny and touching, and “A Muppet Christmas Carol”. We also watched some bombs – “The Heat” (with Sandra Bullock) and ‘The Incredible Burt Wonderstone” (With Steve Carrell and Jim Carrey – you’d think it would be good, but nope). Hope you’re keeping your chin up, Kathleen! Thanks, Terry! We’ll have to try to Queen Latifah movie — I’ve never even heard of it! You’re probably way ahead of me but I did want to let you know that there are many many bloggers who write about their experiences with infertility. I would suggest a couple and I’m sure, from there, you’ll be able to find many more. Good luck. All the best for 2014. I’m visiting from Leigh’s site. I love that you mentioned Warm Bodies — so different than most zombie movies and I loved it so much I’m writing a blog post about it! Cool! I’d be very interested to hear your thoughts on it! I’m a [new] blog reader and I’m not pregnant – even closer to home, I’m struggling with infertility, too. Just wanted you to know you’re not alone. It’s been three years of negative pregnancy tests… during which one of my best friends got pregnant as soon as she stopped her birth control and another of my best friends has conceived twice, a third close friend had her fourth and fifth (!) children, and my college roommate birthed a beautiful baby girl over which I sobbed the first time I held her. Whew. It’s nice to meet you :-). PS: We wore the Pentatonix album out as well. Ah-mazing. Thanks so much for understanding, Amy. It’s awful, isn’t it? You want so badly to be happy for these super-fertile couples, but it’s hard. It’s good and sad to know I’m not alone. Hoping for a positive test for you soon! I have a hard time seeing all the baby announcements on FB too. Seems like there are literally a few a day lately. Difficult to be inundated with that when you want to be there, and are not. My circumstances are a little different, with the same theme of desiring the baby I do not have. As for books, I have been enjoying the picture book of “The Snowman” (from the silent illustrated kids movie) and “A Very Special Baby”–a kids book about the nativity that actually shows Mary as young and not Caucasian. Beautiful pictures from tissue paper piecing. Simple words, the right words. I hear you, Hope. And the nativity book sounds excellent. I always have to roll my eyes when I see a white, twenty-something Mary. Hugs to you! Infertility is indeed a lonely road. While there are others in cyber space, there never seem to be others in real life. I’m praying for you friend. I really wish you didn’t have to suffer through secondary infertility after dealing with primary infertility. It just seems so unfair. As for books, I’m pretty sure I saw the “Everybody Poops ” book at a store around here sold in two versions, boy or girl. Maybe you found the boy version? The most recent book I’ve read is “Your Two Year Old.” It was a great book in explaining normal developmental stages. It is helpful to know that something is normal rather than a result of poor parenting. Michele recently posted..Night Weaning – The Key to Fertility? Oh really — there’s a girl version of Everyone Poops? Interesting! :) And I always appreciate books that describe normal development for that very reason — toddlers have tantrums because they’re toddlers, not because we’re bad parents! I’ve written on here before and here I am again. I, too, am still dealing with infertility after having one child. I don’t know a single person who lives nearby who has had these problems, so I have no one to relate to or even talk with. It is very lonely. Even my husband doesn’t really understand. I don’t even bother trying to talk to him about it anymore because he just tells me it’s okay. Maybe for him, it is. I’m sorry to hear that you’re still continuing to have problems conceiving again. I guess just know that I’m sure there are plenty of your readers who can relate. I keep trying to just remind myself of what a good life I have with my little family and to be thankful for all that I have, but I would say we should give ourselves room to both enjoy what we have and grieve what does not yet exist. Oh Melissa, we sound so alike. Men rarely seem to quite understand (though they do their best). And I know there are people “out there” dealing with similar problems, but not people in my day-to-day life. And yes — life with my one baby is so wonderful, I have so much to be thankful for. Hugs. I’ve been there. My husband and I tried for years before finally conceiving. (Longer still before carrying to term). I vividly remember how depressing a place Facebook was and how it seemed like we were the only people in the world not expecting. I know enough not to say anything along the lines of “you’ll be okay” or “all in God’s timing” nonsense. All I can say, in all sincerity, is that you’re not alone. Also, thanks for sharing your experience. Part of what helps others know they are not alone either is a willingness to talk openly about it. Curious which Sound of Music you watched- the Julie Andrews version or the new Carrie Underwood remake? I love the original and refused to watch the remake. Glad you now realize it’s not boring! Thank-you, Leigh. There’s definitely an element of shared experience there — any time life doesn’t go the way you envisioned, there’s grief. In our culture we get this sense that we ought to be in control of certain things (when/if we get married; when/if we have children; etc), but the truth is, many of us actually have very little control of them. It’s a hard reality to face. Please ignore this question if you prefer not to answer. . . Have you seen a doctor for infertility? I know people vary in their willingness to bring science into this realm. But seriously, it could be something fairly simple. I am sure you will do whatever is right for you. No worries, Meg. I do know what the problem is, and I have a pretty good idea what the medical procedure would be; I’m just reluctant to take the medical route for a variety of complex reasons. I may have to go that route if I don’t see improvements soon. Thanks for understanding. I laughed when I read your sentence “turns out tightwad and Mennonite are fairly synonymous.” I grew up in an East Coast MC (not GC Mennonite) and that sentence was true. In high school and college, it drove me crazy. As I get older and wonder how to live more gently in the world, I am appreciating the Mennonite simplicity more and more. It’s fun finding another Mennonite (or ex-Mennonite in my case, although I find that although I may attend a Methodist church I am still very Mennonite deep down) blogger. 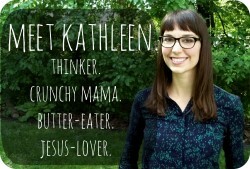 Kathleen, now that I am thinking and praying for you. I feel your pain, and I hope your deepest yearnings will come to life soon. I feel your pain. Know that it is ok to have a bad day here or there… or cry, or let it out. You will renew your hope and be able to believe again soon enough. Sending prayers up for you. Whatever happens, I pray for your health and peace.